Snapshot measuring 2.25 x 2.25 inches. A day later and I still feel this way. 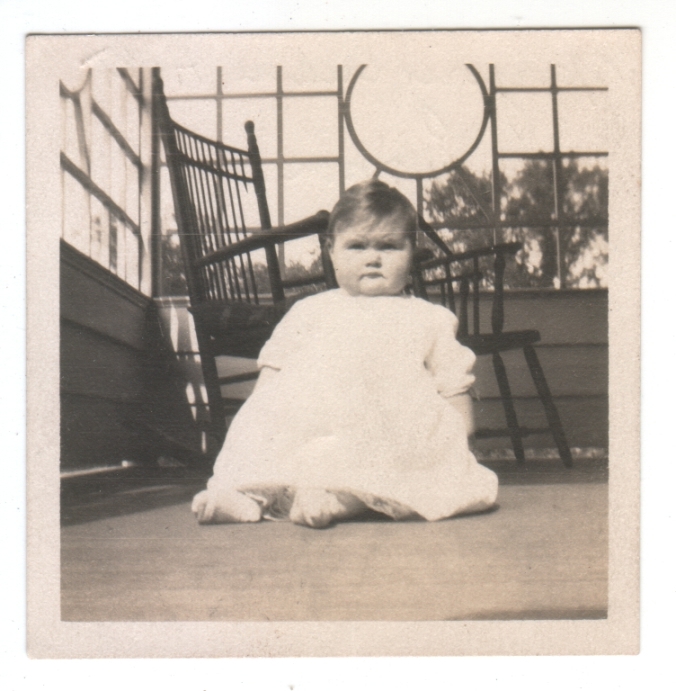 I do not know when this was taken, but in the 40s a rolly, polly baby was considered a healthy baby. How times have changed! Chubby or not, she is cute. How did you get your hands on my baby picture? LOL, Paul, too funny. The scary thing is that somebody might say that one of these days and mean it!